The day was overcast and the humidity was almost as thick as the unwanted swelter back home. I slowly stepped off the bus and began to walk into town. Even a few steps in, I felt as if I were returning to my childhood--a time when the pace was slower and people talked to each other as they passed on the street. Children were riding their bikes and there wasn't a chain business in sight. All local. Very authentic. My style. This Canadian town oozed with charm and delight and I knew there were stories to be discovered with every turn. 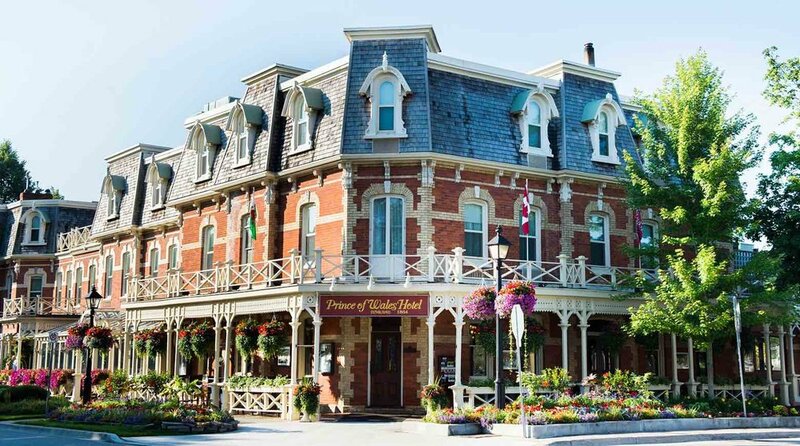 This preserved 19th-century town in the heart of Ontario wine country, continued weaving its spell of nostalgia and Victorian times past. I lingered past the Royal George Theatre as children gazed in the windows--anticipating the next production. As I proceeded down main street, I started to have a craving for gelato and a cappuccino. 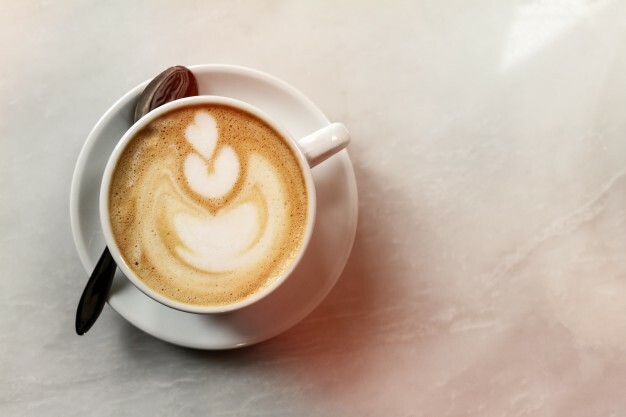 Just then, before my eyes, as soon as the thought entered my mind, there was Il Gelato di Carlotta--serving both gelato and cappuccino. Not only that, but there was a perfect window bar seat for me to people watch with my culinary delights, as I returned to Paris and Italy in my mind. To say that I was beginning to fall in love with this Canadian town, was an understatement. It had captured me. My discovery continued as I peered into local antique shops and galleries--awakening my visual senses to the beauty of paintings, pottery, and interior design. Each home I passed carried a story with historical charm and reverence. The sky began to darken as the clouds rolled in--transforming the playful mood of the day to one of mystery. I decided to make one last stop before returning to my bus. So, I popped in the charming Prince of Wales Hotel. This Victorian hotel carried all the charm and elegance of days past. The attention to detail from the cigar room to the high tea china was exemplary. As I explored the property, my heart ached that I soon had to depart. How I longed to stay and move to the pace of the past. But this, I knew would be a place that I would return to and fall in love with all over again. As I began to stroll back towards my bus, it began to rain--conveying the feelings of my heart. This was a day of refreshment and I didn't want to leave. 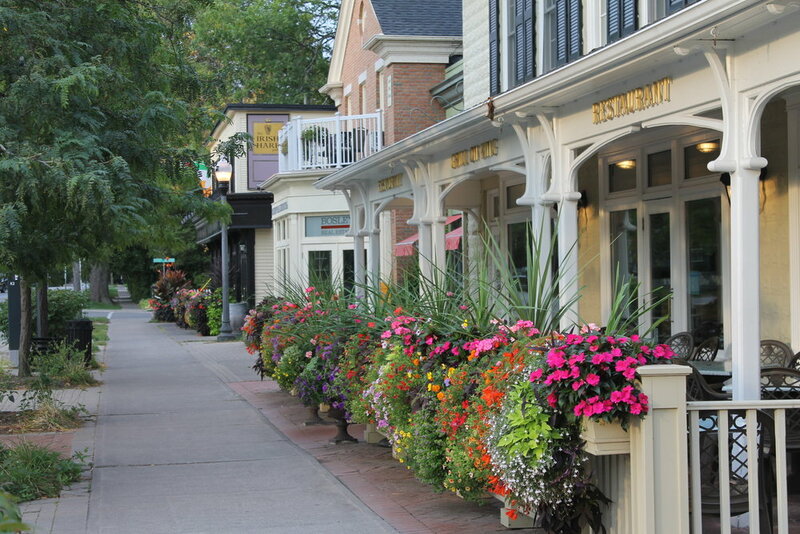 I was home--"home away from home" in a town I would never forget--Niagara on the Lake. The air was thick with salt and endless possibilities on that hot summer day. My shorts stuck endlessly to my thighs--reminding me of my desire and longing to be out in the sea itself. The water was like a piece of glass dipped in as many shades of blue as there were stars in the sky. My heart beat quickly as the boat moved away from the shore. Like many parts of the ocean, there was much of myself that I still needed to unlock and discover. The wet salt from the sea beat against my cheek as the boat sped up and a new adventure began to take place. We rode for miles and miles further into the sea. After about an hour, we arrived at Iguana beach. It appeared as if we had entered the Galapagos. There were lizards and iguanas everywhere. So, being the friendly southern gal that I am, I decided to make friends with them. They opened their mouths wide in hopes that I would feed them--bringing humor to my soul. My heart couldn't resist the moment to jump in the salty water--enveloping myself completely in it. We were soon off to the next stop--a visit to the infamously famous swimming pigs. Legend has it that they had overrun an island in the 80s. The government decided to place many of them on a deserted island. But the picnics of sailors and yachters tempted the over-abundant stomachs of the pigs, and before too long they were swimming out to the boats requesting a meal or two. Well, I'm not certain if all of this is true, but the pigs do swim and they are incessantly hungry--running after a piece a food like it is their last. I was able to lure one into the ocean with a carrot. And in a not so typical pig fashion, he came swimming to retrieve his food. He was then kind enough to turn around, so that I could have a photo snapped with him. Definitely a moment to remember--and all on the Fourth of July! My adventure continued to a deserted island where I laid out in the sun and enjoyed the nature around me. The boat ride back, I breathed in the overwhelmingly beautiful views and allowed myself to relax--as I dozed back and forth into a summertime nap. Hair and skin full of salt and endless memories, I recounted the tale of Hemingway's The Old Man and the Sea and how the salt water is mysterious and enchanting--bringing you a moment of unexpected gifts. And for that moment, though I was alone, my heart once again became alive. I am a fan of rose colored--everything: champagne, decor, flowers, clothing, accessories. The list could go on an on. Pink is a sure way to make my day happier. As I was scrolling through my photos of delicious food and wine experiences, I noticed that I had many pictures of rose colored glasses. Being the curious gal that I am, I looked up what "rose-colored glasses" actually meant. To my delight, it is a phrase to describe who is the eternal optimist--perceiving things in a positive way. Every moment in our lives gives us an opportunity to choose. We can choose to see with darkened glasses or with rose-colored ones. Choosing the rose-colored ones is a win win every time: for your health, emotional well-being, finances, relationships, and career. Perspective is everything. Now, don't get me wrong. This isn't an excuse to not live in reality. You can maintain a very realistic perspective, but carry a positive attitude. We have one life here on this earth and why not spend it spreading positive vibes. So, cheers to rose, smelling the roses, and rocking the pink outfit. As a single woman in my mid-thirties, I often get the question about my singleness--if I think traveling solo is the barrier for me being single. I realize that this is a challenge for most people to understand, but whatever sets you on fire shouldn't keep you from love. It should attract it. As Valentine's Day approaches, I've started to reflect on love. Travel truly is my love. Like author, Iyer, states above, "Travel is like love because it's a heightened state of awareness, where we are mindful, receptive, and ready to be transformed." And travel does this. It transforms me. And each love affair that I have transforms me--prepares me for the best. From the outback love in Australia to the glacier guide and trekker in Chile, travel has never come to a close. Over the next couple of days, I will share my love affair experiences with you. The vulnerable and the valuable. How these travels awakened and transformed me--forever giving my heart the courage to love again--especially when it left me. Where's my #WanderlustWednesday? It's above the clouds, of course. For me, flying, traveling, and discovering are at the essence of who I am. LIke air, I need to have it. My truest and rawest addiction. So, when someone asks me where I want to go, I say: "everywhere." Above the clouds is my best bet. Life gets clearer. Problems seem smaller. Nothing seems impossible. The world becomes a canvas again and I, a bit of color, within the larger painting. There was a movie I used to love to watch as a teenager: How to Make an American Quilt. It's about a girl who goes to visit her grandmother for the summer. She joins her grandmother's quilting group. And as she is surrounded by each of them and their stories, her own life begins to take shape and form. She realizes what is truly important to her and what isn't. She dives into her passion and even more importantly, into the lives of other people. This is what happens when I travel. The environment around me develops and grows me. It challenges me to gaze into a deeper perspective. There's immediate peace and the world somehow comes to a halt. I make it a habit to disconnect completely from my phone while flying. This is a wonderful "de-stresser" and encourages me to be in the moment. I would like to say that I do this once I'm on the ground portion of my travels. Rarely does this happen. Though I will say, I've made a new tradition recently to have an afternoon that is unplanned where I leave my technology behind and I allow myself to be completely immersed. What a breath of fresh air! So, what is your Wanderlust Wednesday? Is it a weekend retreat with your friends? A solo getaway? Local? Abroad? Exotic? Adventuresome? Or calm? Whatever it is, may you gain new perspective and insight. May you soak up the moment and embrace it for all that it's worth and be thankful to allow yourself to go there.